Monica Salvi is a mesmerising performer, with an absolutely dazzling, classically-trained voice. Here she gives a wildly passionate performance as an inpatient at a mental health hospital who has been "let out of her padded room" to sing for an hour. 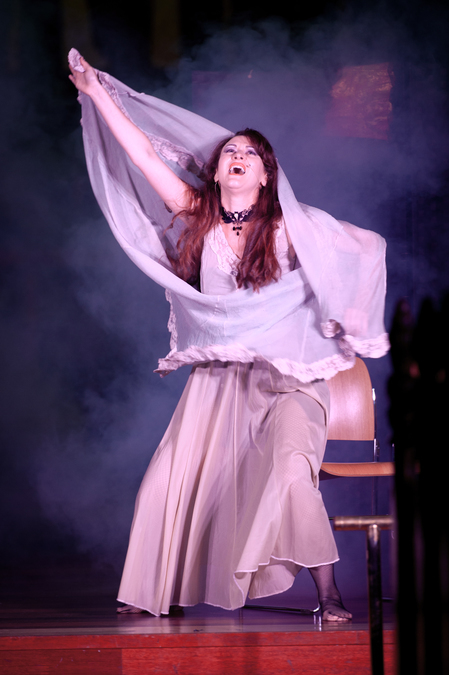 She owns the stage, giving a captivating performance with plenty of glamorous costume changes and audience participation. The most interesting facet of the show is the discussion of the ‘insane woman’ character, into which Salvi has consistently been typecast her entire career. There is definitely some poking fun, and some bitterness, at the idea that these characters don’t get main roles but rather serve the purpose of adding drama to the production. 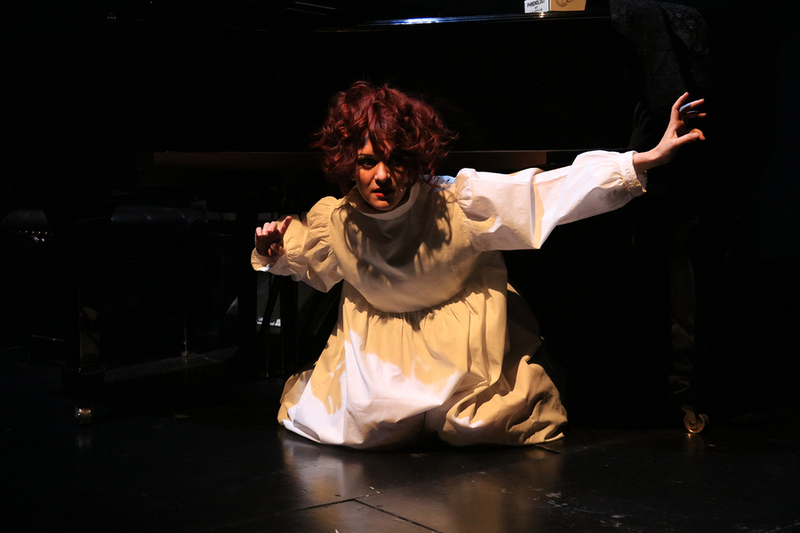 Salvi plays with the idea of the ‘insane woman’ for the whole show – with a particularly rousing, manic song towards the end which acts as a kind of ‘call to arms’ for ‘crazy girls’ to unleash their inner madness and reclaim their power. Yet despite the show’s exploration of the reclamation of the 'crazy girl' trope, there is some insensitivity in the overarching narrative of the overblown 'asylum' complete with straitjackets, white-coated doctors and shrieks of other ‘patients’. It’s hard to tell whether such harmful misrepresentation of mental health institutions is purely for dramatic effect, or whether this is a parodying device, but it certainly leaves a lingering bad taste in the mouth. 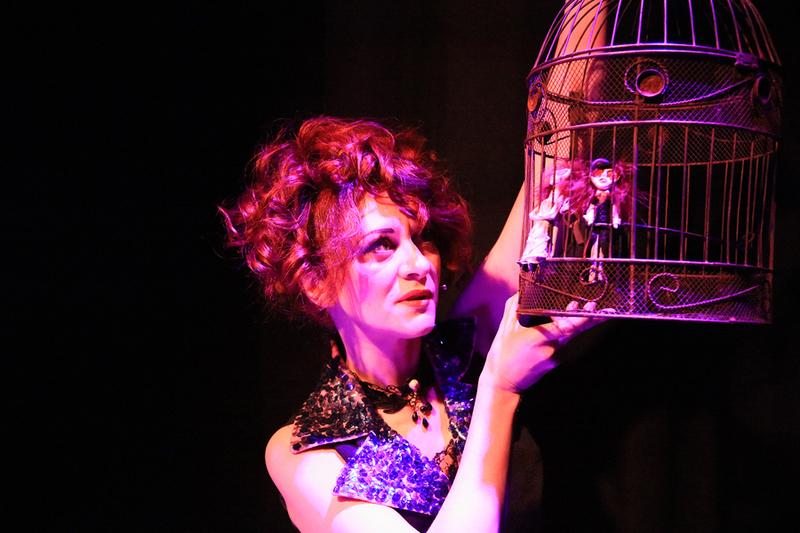 However, overall this is a dramatic, thrilling, very engaging cabaret which will have you captivated for the hour – and then thinking about the questions it poses for several hours after.